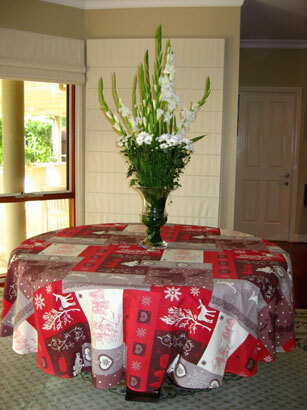 Jacquard cloths drape well, look good, feel soft and warm. 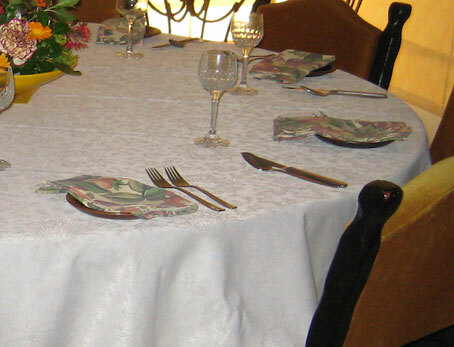 Their woven tone on tone patterns allow plenty of table decorations. 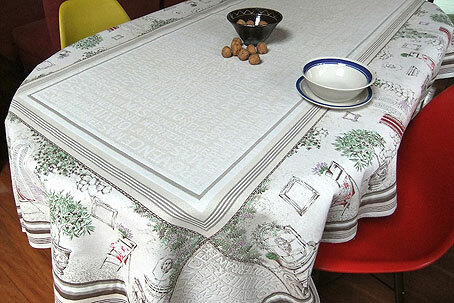 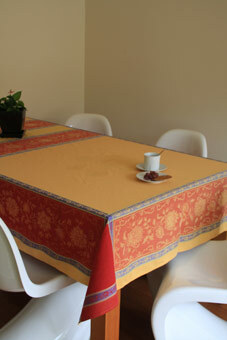 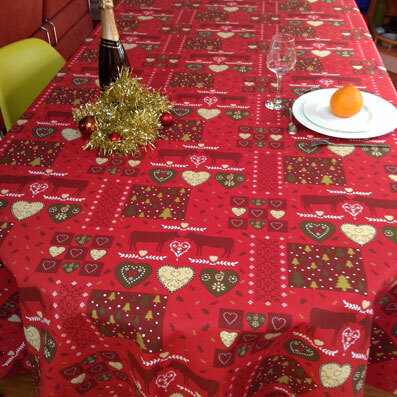 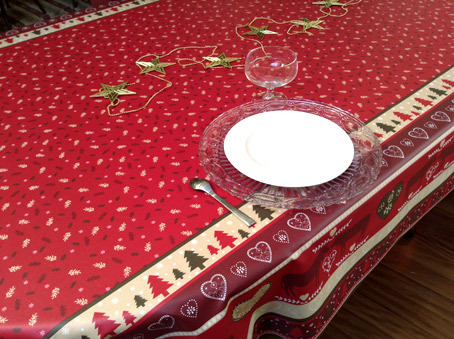 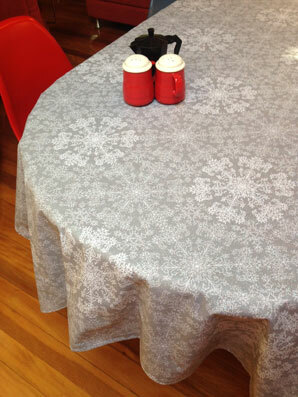 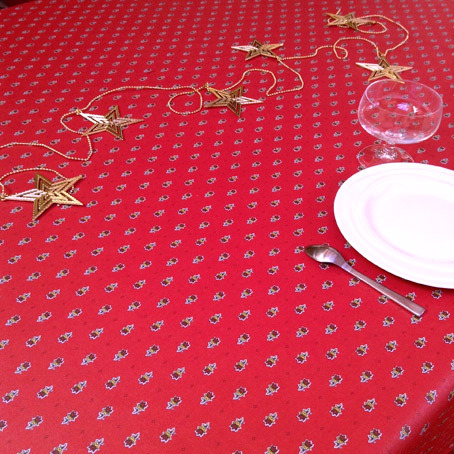 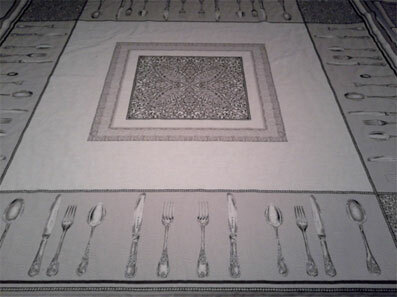 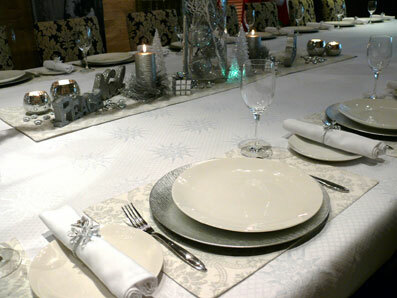 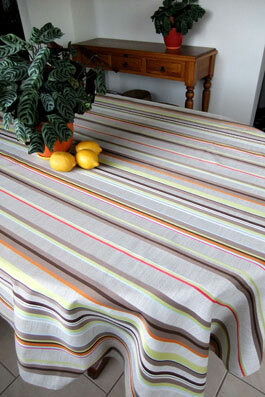 PLACEMATS can be made in all our Jacquard fabrics. 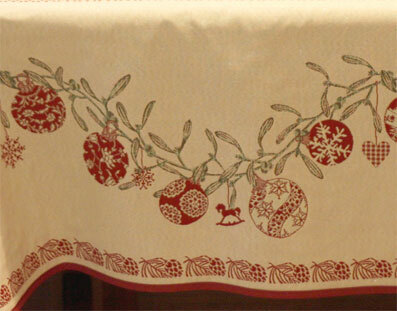 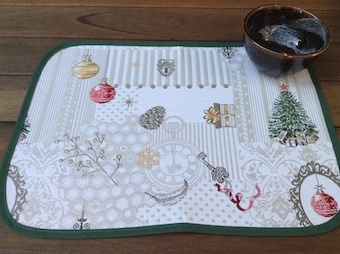 We have some Jacquard placemats on special at the bottom of this page. 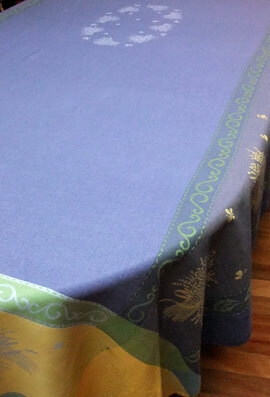 This fabric is very wide. 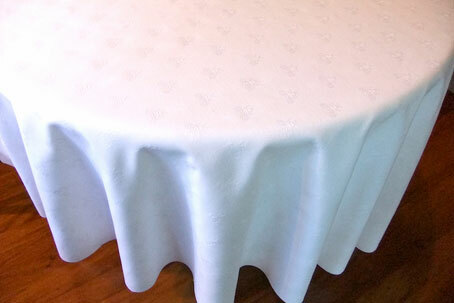 We can make very large round banquet tablecloths with no seam. 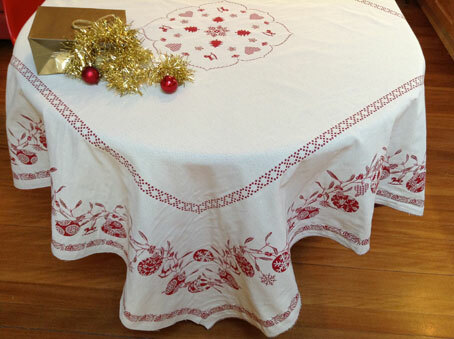 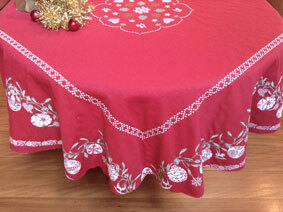 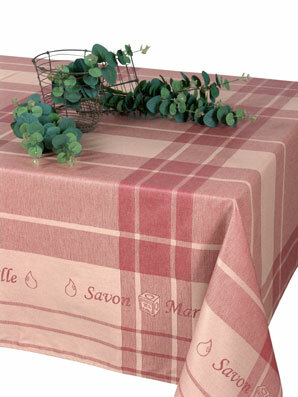 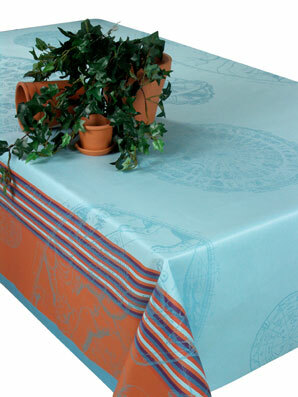 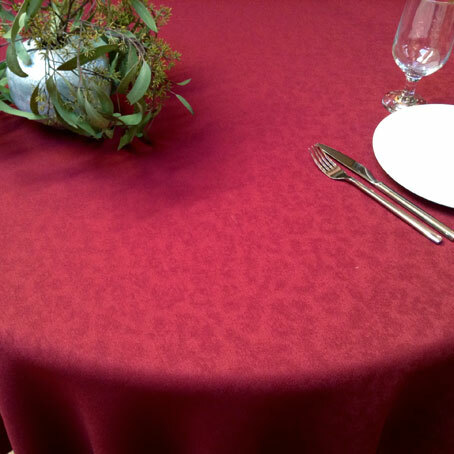 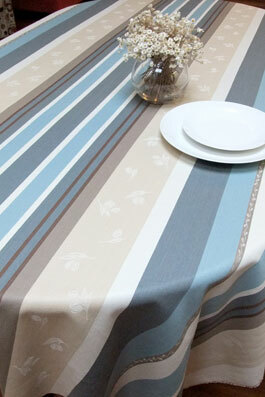 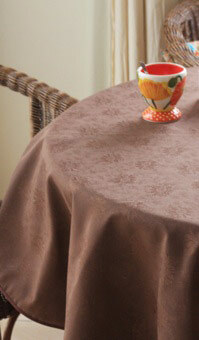 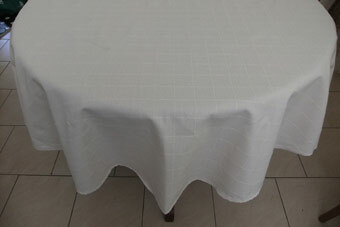 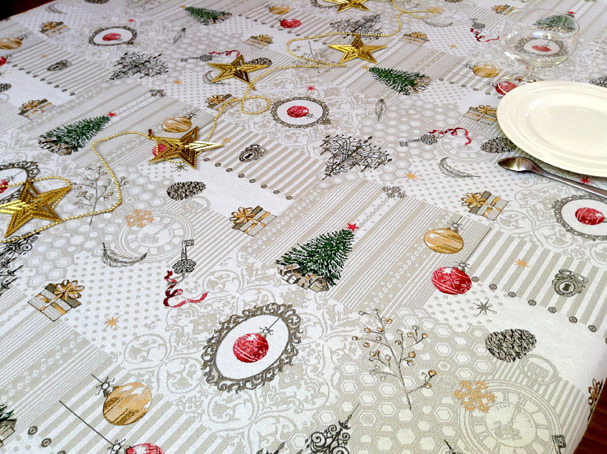 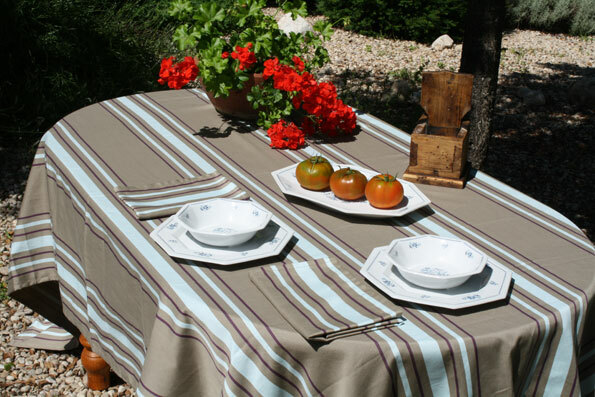 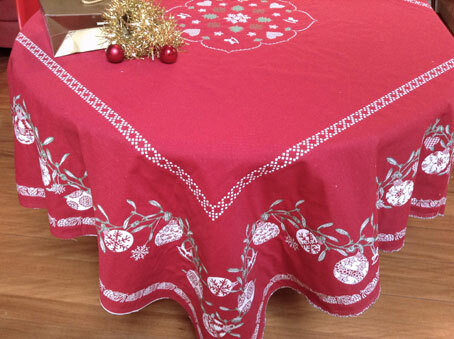 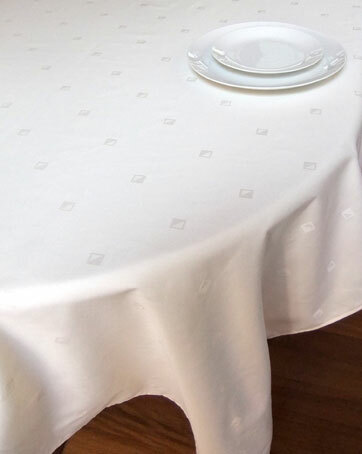 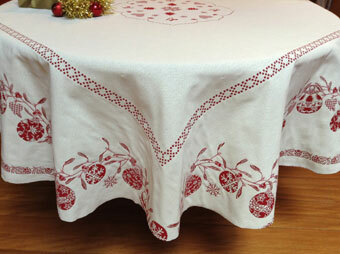 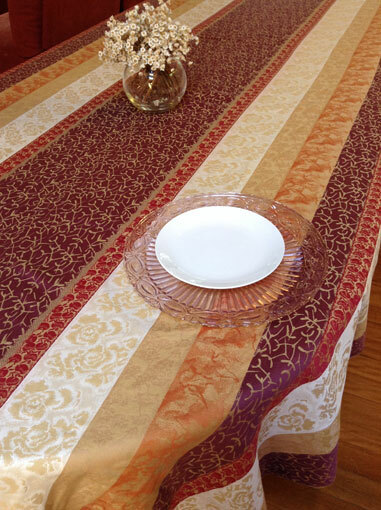 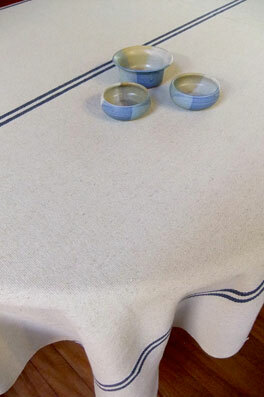 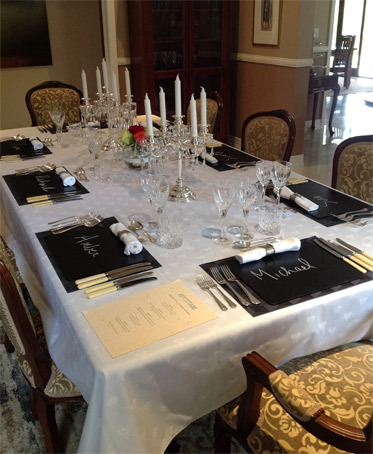 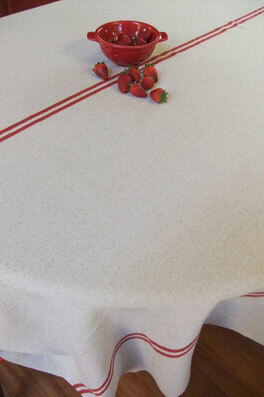 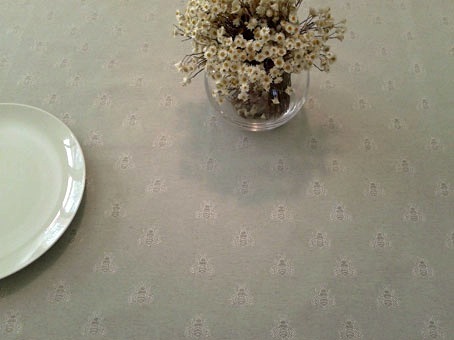 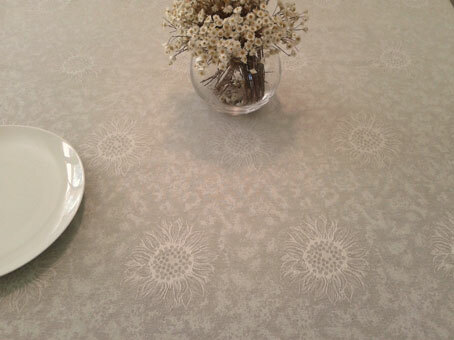 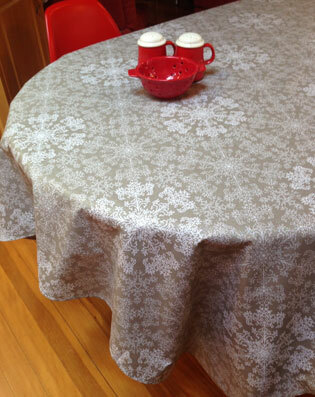 The elegance of a Jacquard tablecloth and stain resistant. 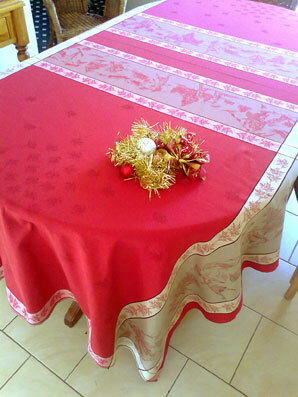 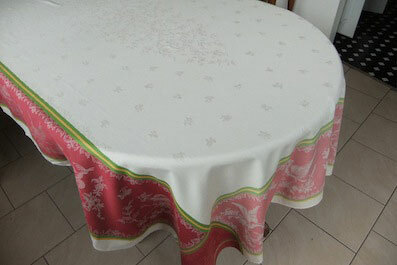 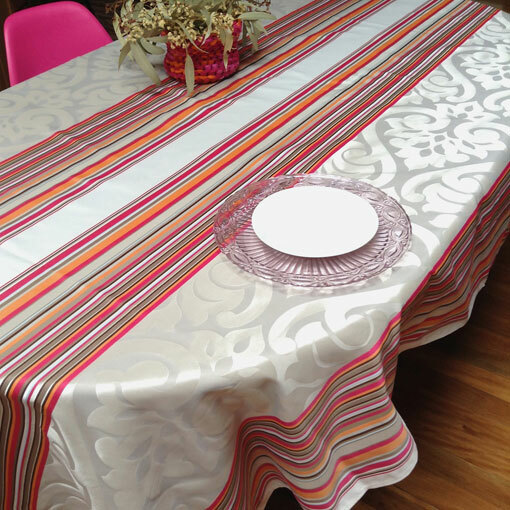 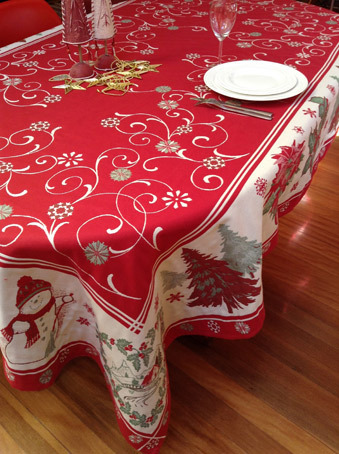 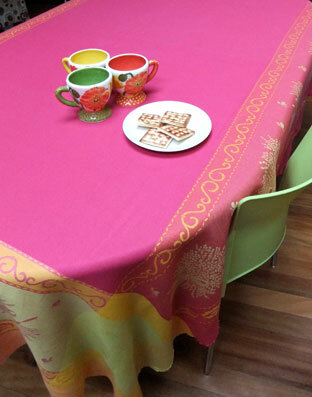 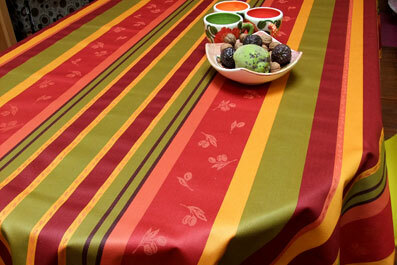 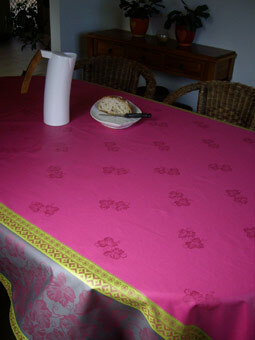 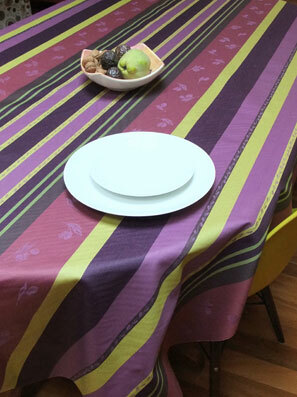 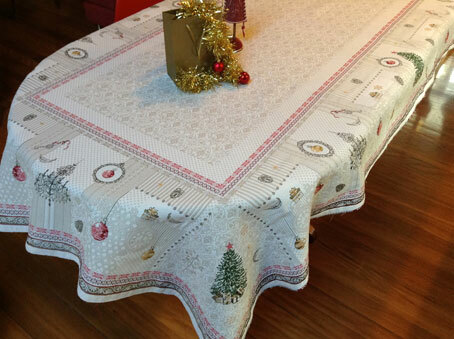 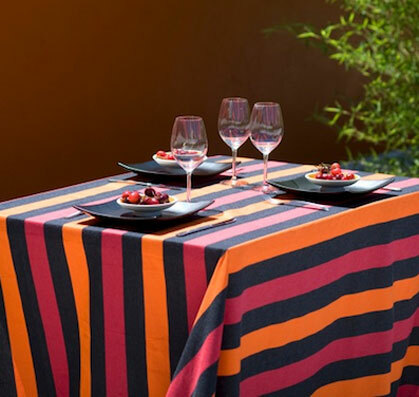 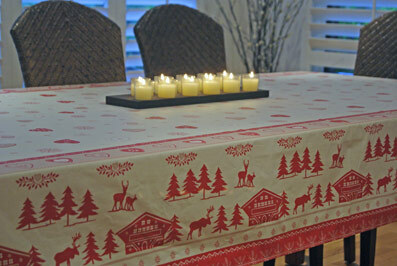 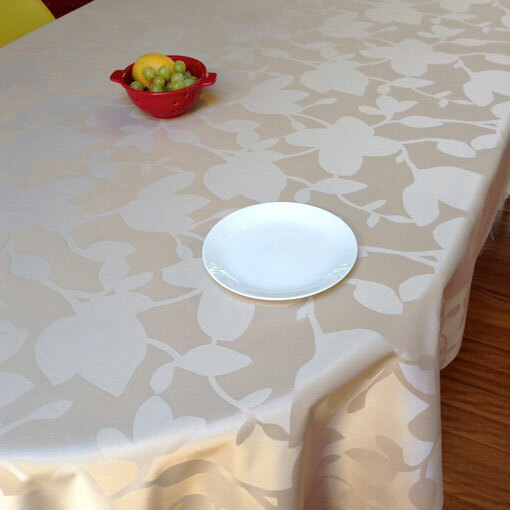 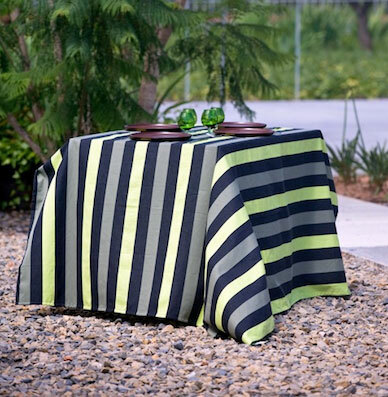 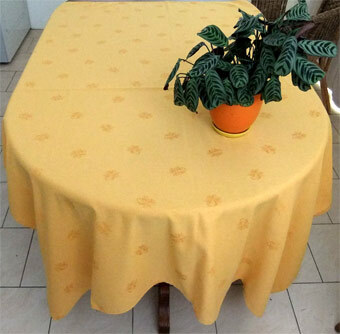 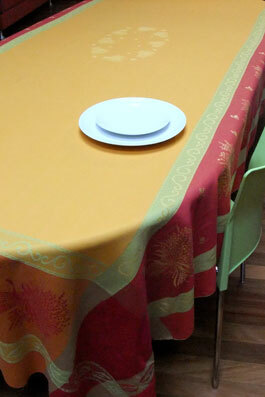 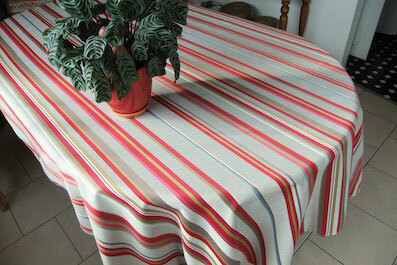 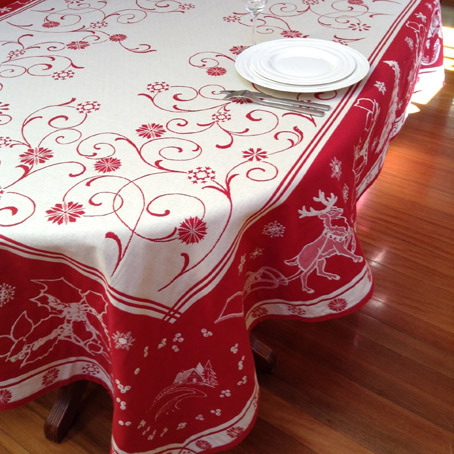 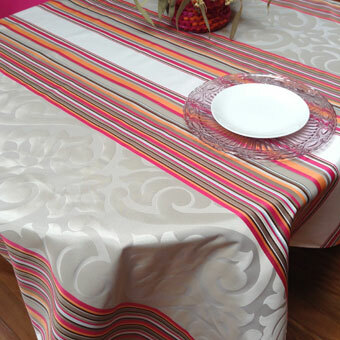 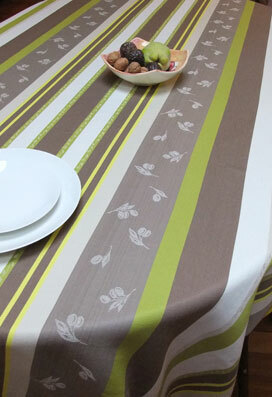 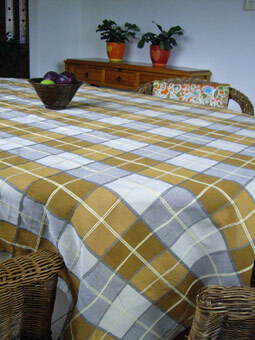 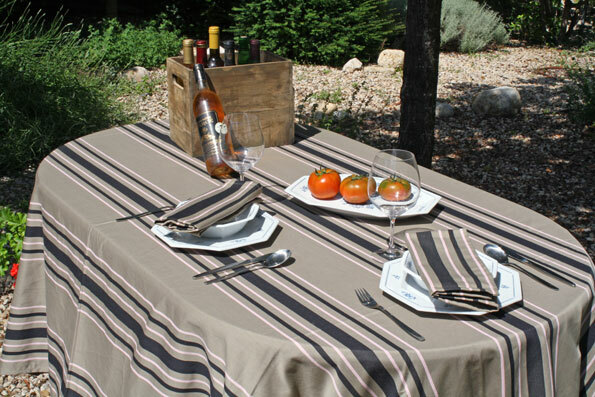 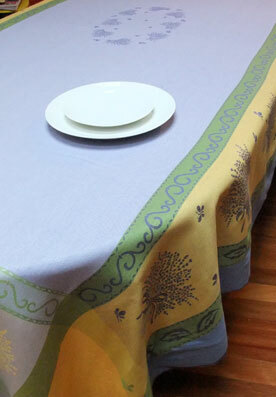 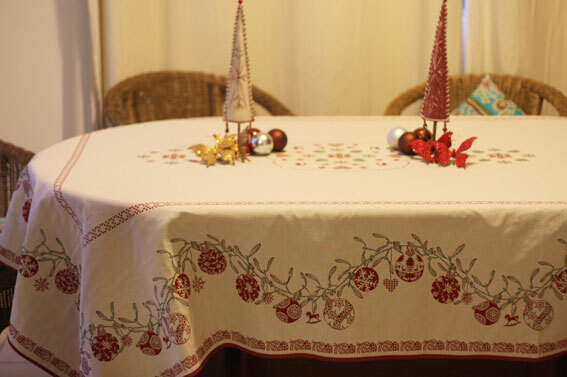 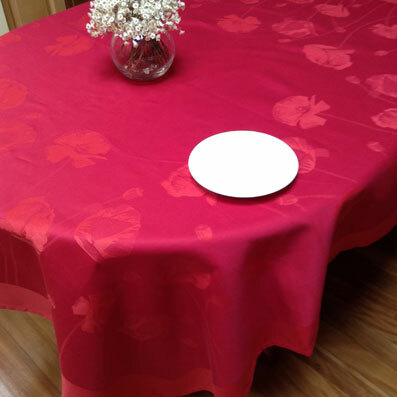 250 x 160 cm - 98" x 63"
300 x 160 cm - 118" x 63"
We make custom-make tablecloths using Lisbet fabrics. 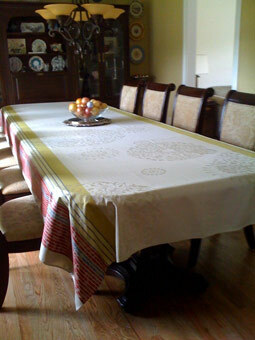 Email your table dimensions, we will send an offer. 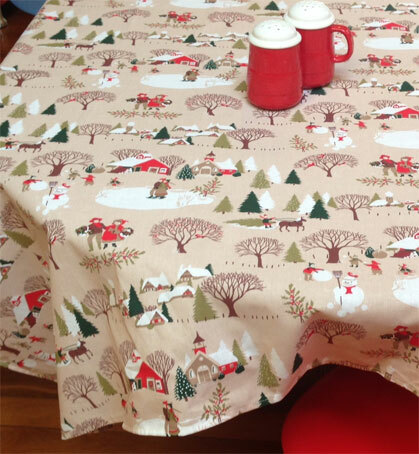 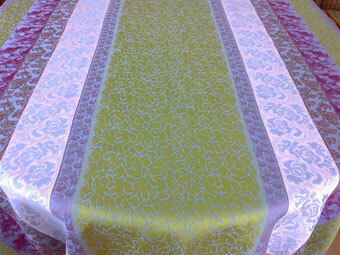 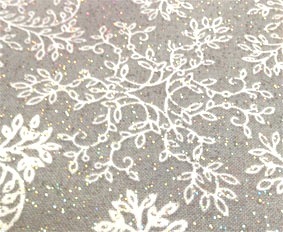 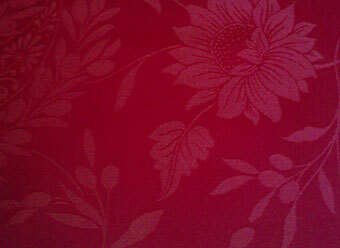 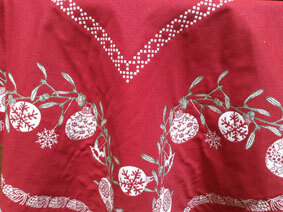 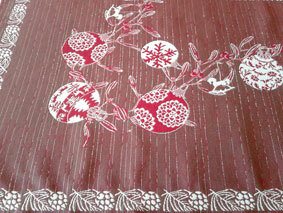 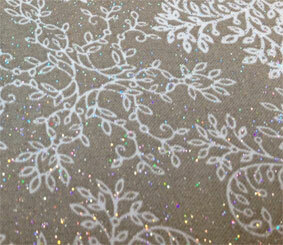 We can make custom make tablecloths in this fabric. 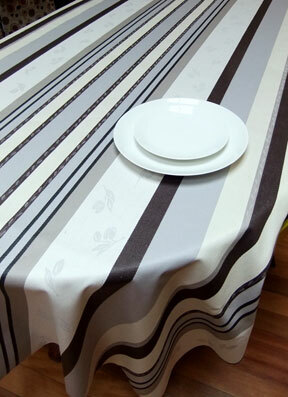 We can make custom make tablecloths in this fabric. 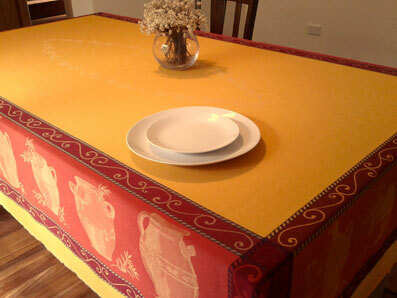 It is very well suited to make very large round or oval table. 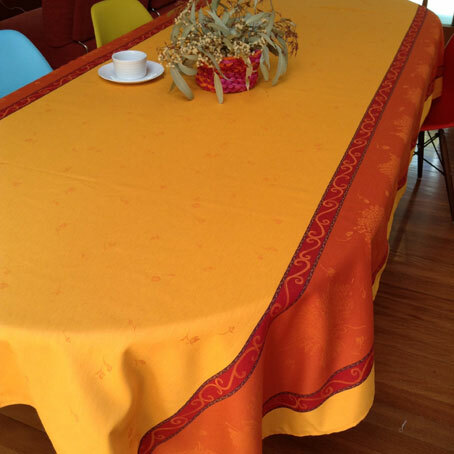 This fabric is very wide, we can make large round cloths with no join.